Their celebration was one that we will truly never forget. 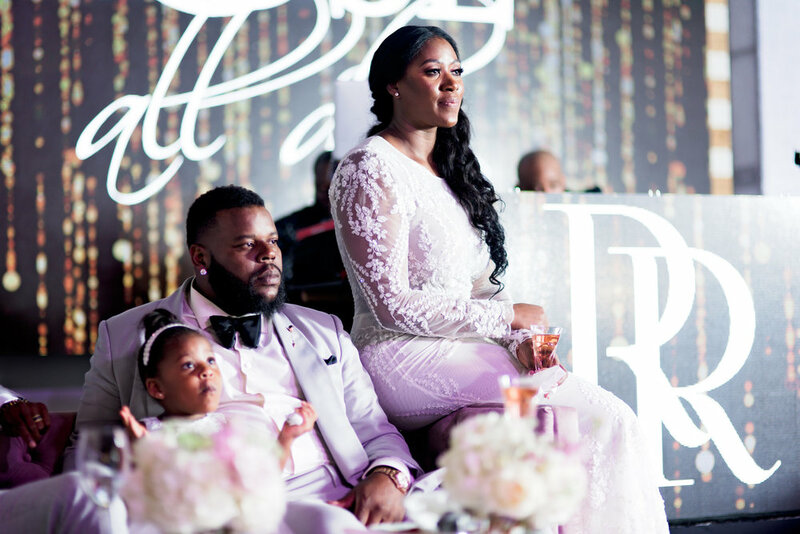 Kisha’s dress was a beautiful long sleeve gown that was embroidered with a floral pattern. Everything from the flowers, lighting, and decor was lavish. Large bouquets adorned with strings of jewels decorated every table and added a touch of elegance. 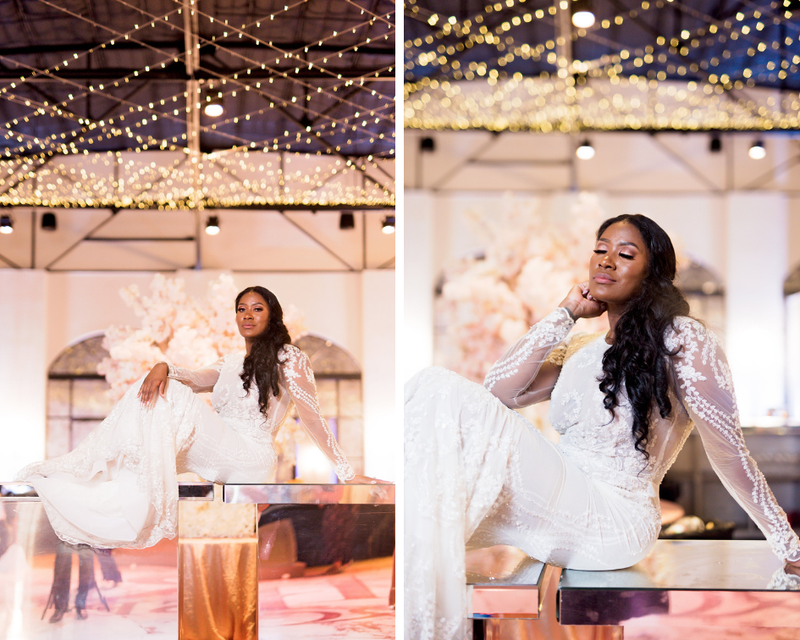 The neutral color palette was enhanced by the soft pink lighting that made the entire venue glow. A cocktail hour was held before the reveal of the newlyweds where a live band played to entertain the guests. A five tier cake, designed to look like it was covered in gold and marble, stood next to cookies monogrammed with the couple’s initials. 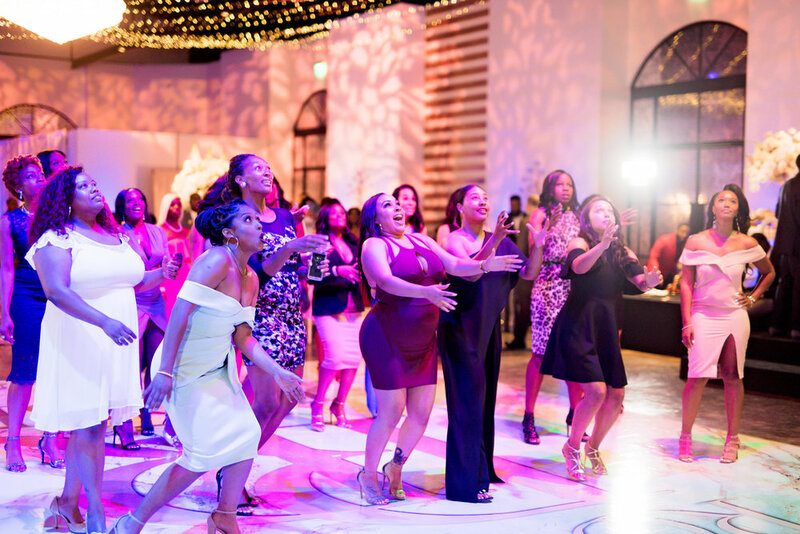 All of the guests had a great time dancing and enjoying the custom ice cream bar. We were glad to share the newlywed’s big day with them as it was truly magical. Keep scrolling to see more photos! Dessert: Susie Cakes , Marble Slab, Crumble and Co.